Marco Island kept coming up so we finally researched it and decided it would be the best place for us. We looked into several hotels along with Airbnb on Marco Island and finally went with the JW Marriott. I had seen this hotel come up a lot in my instagram feed and honestly, it did not disappoint. The hotel is built right on the white sandy beach of the Gulf Coast. There are 2 main hotel buildings with another adult only building currently being built. We had a room with an ocean view and watching the sunset every night on the gulf became our nightly ritual. The hotel is a mid-size hotel and we felt it was a good size to accommodate families and couples alike. There were 2 pool areas that separated the more adult pool from the family pool. Though kids were allowed in both pools. Each day the hotel Tiki Club had a schedule of kids activities the girls could participate in without having to reserve a spot. This was especially great for our girls to take a break from the heat and do a craft. Some of the crafts were free and the bigger crafts like tye dying cost about $10 but were well worth the price. They also had a complete kids club that your child could go to from 10-3 all day. You did need a reservation for this. Tay went one day and totally loved it. Every Saturday evening the Tiki Club has a swim in movie night were you can watch a movie while floating in the kids pool. The beach was gorgeous! Softy white sandy beaches for days with wonderful shells for the girls to collect. The hotel provided chairs, towels and umbrellas for the beach. You could also rent a cabana on the beach for a reasonable price. There was also rentals for all types of water sports and activities as well as food service on the beach. I visited the hotel spa on 2 different occasions during our trip and was very pleased with their services. The spa is separate from the hotel building with it's own outdoor pool so you can potentially stay there and relax all day if you would like. The treatments were so dreamy. I definitely could have stayed there all day. 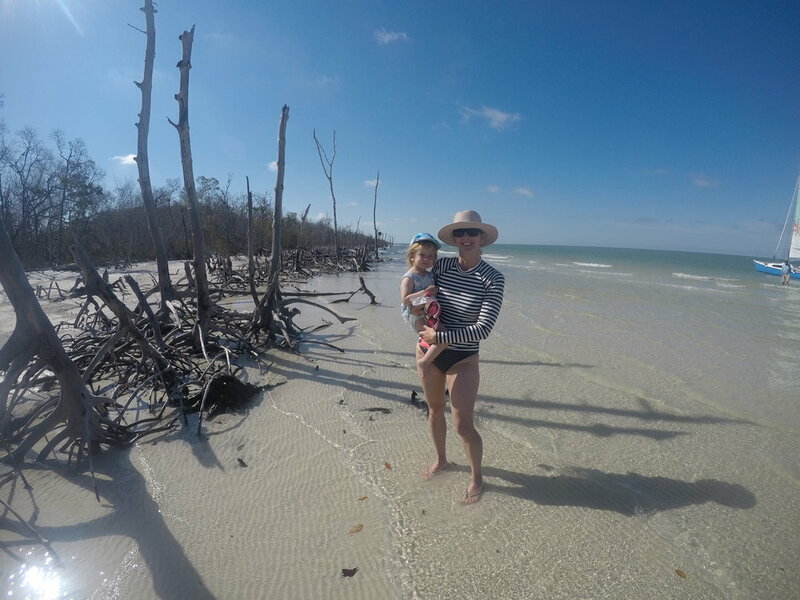 We scheduled a few excursions while on Marco Island. Our favorite was the sailing and shelling trip which we scheduled with the JW Marriott. This was a 2.5 hour sailing trip to a nearby island where you stopped to gather shells. We found some of the most amazing! After we got shells we went to find dolphins in the bay. We found a whole pod of dolphins that were jumping out of the water directly in front of our boat. It was absolutely amazing and something the girls will never forget. The boat only fit 6 guests and we were able to reserve the whole boat for our family. They usually only take kids 5 and over but they did make an exception for us. The other excursion we went on was a boat trip through the everglades. This was a 1 and 45 minute trip that we scheduled with the Everglade National Park office. We opted for the mangrove trip and really enjoyed it. Apparently there is a huge drought in Florida right now so we didn't see manatees or alligators on this trip but under normal conditions its common to see both. We did see many different species of birds and learned about the original people of the Everglades which was very interesting. We also got tons of mosquito bites but enjoyed it just the same. The best time to visit the Everglades is during the winter with minimal mosquitos. 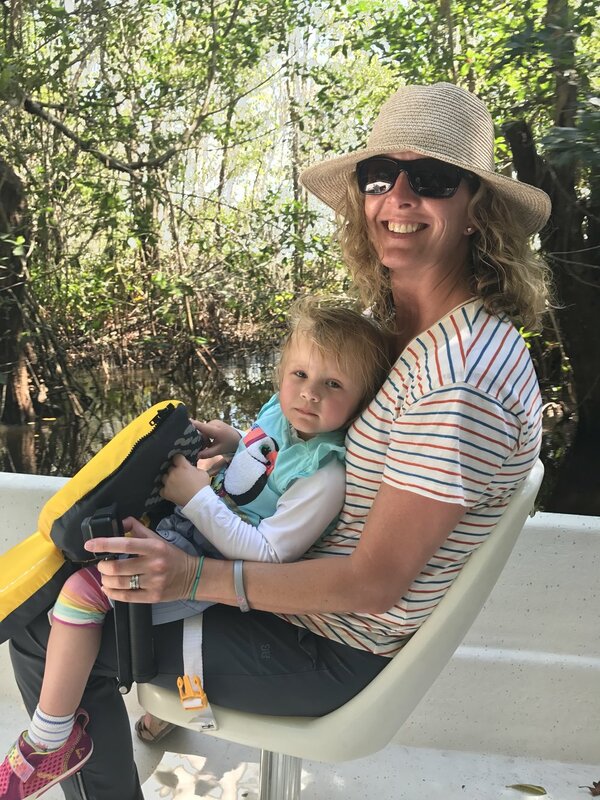 Our last day we drove through the Everglades on the Everglades Loop road and saw countless alligators which made the girls so happy! 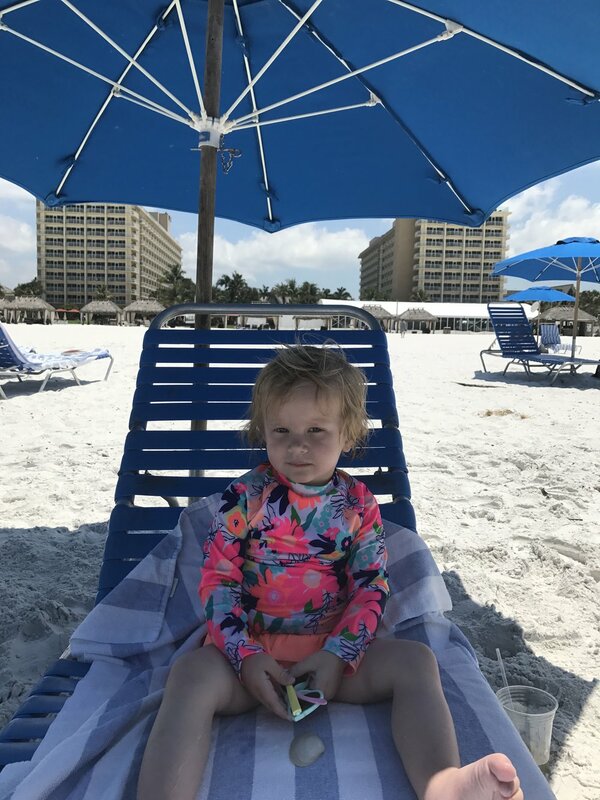 Overall, we absolutely loved our trip to Marco Island. We probably could have done more day trips but honestly, we were tired and our kids just really wanted to swim. 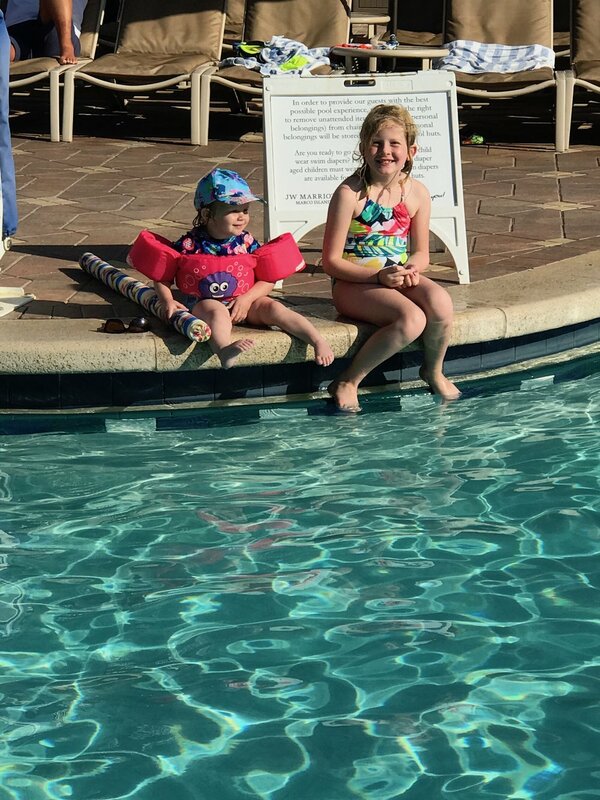 We were so please with the JW Marriott we feel we couldn't have chosen a better hotel for relaxing and swimming.